NOTE: Because the software will be installed into HDD well. PLZ confirmed with our sales about your needs for software version and language when you take order. 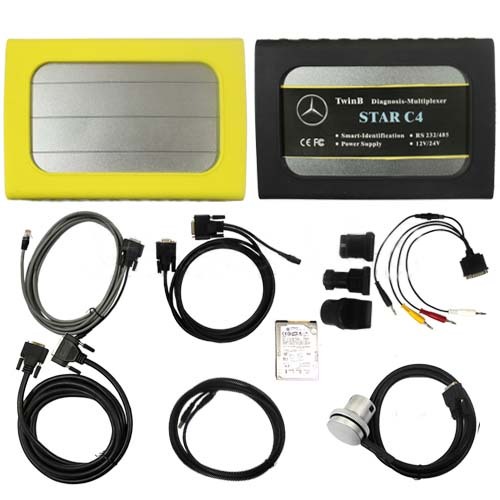 Our new product TwinB has all functions of Benz C4 and BMW GT1. It will be our most hot products next year. TwinB includes all MB Star C4 and TwinB GT1 Pro, which is small and has all functions of GT1. Only one hard disk contains three kinds of software DAS, DIS and SSS. 1. Self-protection: GT1 Pro Multiplexer will be turned off by itself if the voltage surpasses 15. 8V During your testing, and it will restart if the voltage below 15. 8V Autometically. Attention:Only compatible with IBM T30 Laptop!